You may remember me being here a couple of months ago guesting for Ms. Melissa from over at Going Green: Our Army Adventure. Well, now that her wedding has finally gotten here, I’m back again and ready to guest post for Mrs. Melissa while she takes some time off for her honeymoon!! 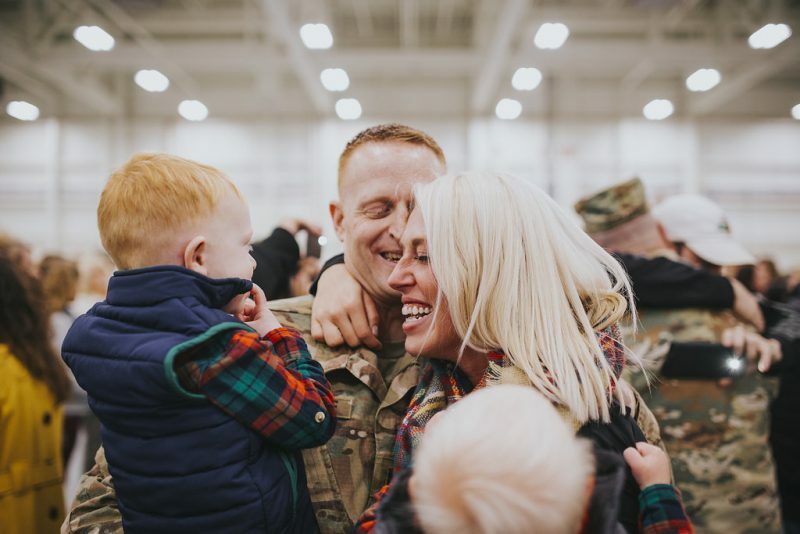 I’m so happy for her and Ryan, and glad to welcome her to the military spouse family. 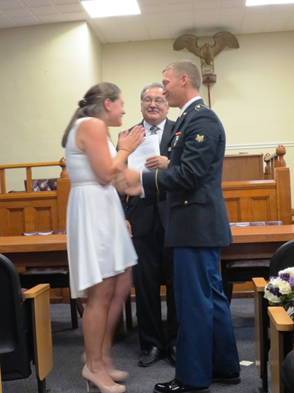 Of course her beautiful well planned nuptials remind me of my own military semi-elopement (with just a hint of jealously! ), as well as a word to those thinking about joining the milSO club! If you’ve ever been over to my blog you know that FM and I were married on the quick in between his AIT training and being sent directly to South Korea for a yearlong hardship tour. Our decision to be married in those 10 days was something we thought about for quite a long time; I mean, we had been together for 5 years already, it wasn’t like a surprise or anything, but we knew it would not make for many happy people no matter where we decided to have it, so we went with what was best for us, a quick ceremony at a local courthouse with just a few select members of my family and friends. And I must say, as much as it was unplanned and unconventional, and as much as it created some waves in the two family oceans for a while, we loved every minute of it, and I’m so glad we decided to go through with what we truly wanted. 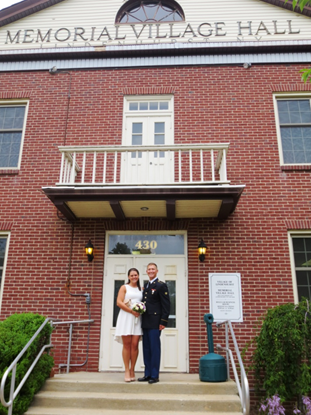 FM and I had the chance to have a beautiful day together that set us on a path towards an amazing life & future, and of course it also ensures that I am finally recognized as a permanent part in his military life, included in all future PCSs and financial considerations. And I mean that without any reference to Nike, or any other mildly perverse association. Do what makes you and your soldier happy! After all, it is your life together, and if you made this decision mutually, follow your gut, leave the naysayers to their naysaying, and do what is right for you! Sure, FM and I plan to re-do the whole day, white dress and suits included, and invite everyone we love and care about to share in our happiness, but our first wedding with my $12 dress from H&M and his spiffy dress blues will always be just as special and meaningful, if not more, to us. We will forever remember what we did for us to finally start our own family, and how happy we were to have that day, no matter how small or short it was in the eyes of others! So a very, very heartfelt congratulations to Melissa and Ryan on your marriage!! All the best to you both always, and I hope you’re having a great time your honeymoon!! And Melissa, an equally heartfelt welcome to the crazy but supportive military spouse family! We’re sure glad to have you! Have a happy & healthy holiday season all, and follow your hearts always!